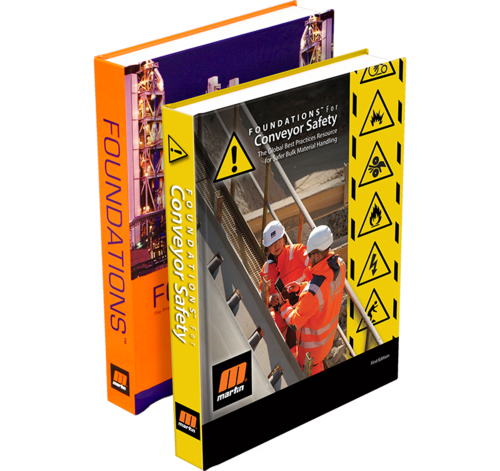 For nearly 20 years, Martin Engineering’s Foundations™ books have taught industry personnel to operate and maintain clean and safe belt conveyors. This key resource for controlling fugitive material includes more than 600 color photographs and illustrations, as well as tables, engineering calculations, advanced topics, sample problems, return of investment analysis and typical specifications. 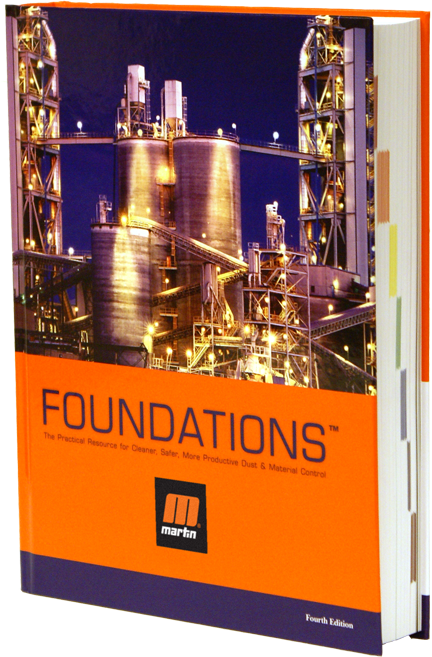 Providing valuable information to all industries and personnel at all levels, Foundations™ is a one-stop shop for efficient material handling. Foundations™ is our largest effort yet and offers solutions to real problems in the conveying of bulk materials. This edition has an increased emphasis on safety, dust control, the human factor in control of fugitive material and the payback for improvement in bulk material handling systems. It also features new ideas for belt washing systems, hood and spoon transfers, the analysis of belt cleaner performance and the incorporation of material science into the handling of bulk materials. Foundations™ covers conveyors with a comprehensive, real-world approach. It features topics ranging from basic components of belt conveyors to the calculation of air flow and the analysis of material properties. It takes readers from the basics of how and why conveyors run as they do (and where their problems come from) to how to prevent spillage, dust and carryback, as well as how to correct tracking and how to engineer a conveyor belt washing system. Published in English, French, German, Portuguese, Chinese and Spanish. Hardcopy books and digital versions are available. Request A Hard-Cover Copy or Download Your FREE PDF Today! Order your copy of this key resource for controlling fugitive material, which includes more than 600 color photographs and illustrations, as well as tables, engineering calculations, advanced topics, sample problems, ROI analysis and typical specifications.